Let’s face it, home repairs are inevitable and plumbing is definitely one of them; especially if you have hard water. Don’t worry though, SJS Handyman is here to help. 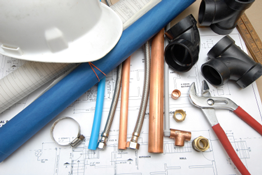 If you’re in need of minor plumbing repairs in San Marcos or the surrounding areas, we’d love to help you out! Please call us today so we can solve your plumbing problems immediately! If you’re in need of minor plumbing repairs, call 760-580-5224 or submit a free quote request today. We’d love to provide you with our experienced handyman services.